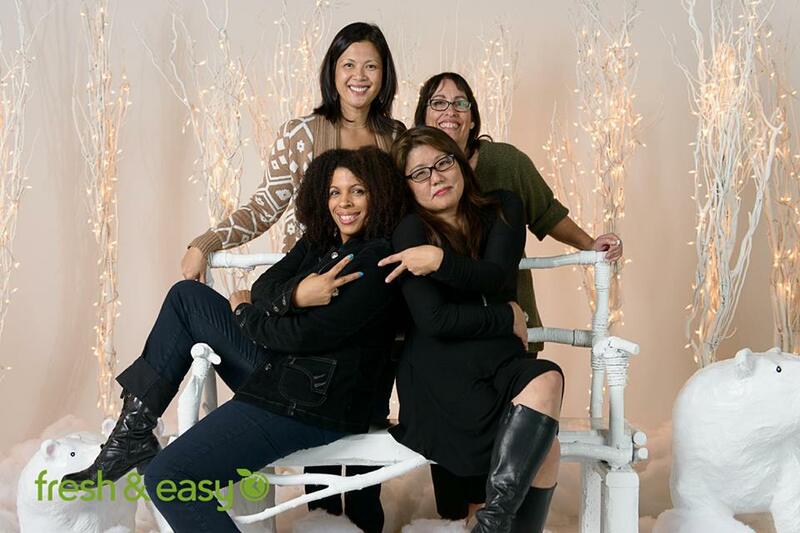 Clockwise: Bernadette Batts, me, Liz Dwyer and Marsha Takeda Morrison. Why is this December different from the 15 previous holiday seasons I’ve experienced as a stay-at-home working mom? This year, I actually have a client with ongoing needs and guaranteed pay. And I could probably give them 60 hours a week if I didn’t have all those piddly household chores, pets, family… and the holidays getting in my way. Of course, I jest: My “piddly” family is the reason I get up in the morning. But balancing their needs with the need to “earn a crust” has become a little bit tougher this year. Once again, I’m finding it really difficult to re-calibrate myself as my situation has changed. What’s different this time is that the change is coming from ME, not from my husband or daughter. So this year, I’ve declined most of the holiday party invitations that have come my way. I don’t have the time to attend, much less write a nice post about the gathering afterwards. But I made an exception last week for the one event I do look forward to each year: the annual bash produced by the folks at Fresh and Easy. “I thought they were closing,” my husband said when I told him why I would not be home on Thursday night. I explained — again — that even though the grocery chain’s new owners had sold a number of stores (mostly in Northern California), they had no intention of shutting down the whole thing. And I fervently hoped that our little neighborhood Fresh and Easy market would remain open, because I have come to rely on it for its range of delicious pre-made dinner options… especially now that my work day always manages to bleed into the time I would have normally started cooking. “If anything, since the buyout, we’re going to become fresh-er and easier,” was the official word at the party from company spokesman Mike Evans. They will continue to market fresh, microwavable meals for busy people but will also have a new emphasis on local, organic produce and natural foods, including products from the natural grocery chain Wild Oats, which is also owned by F&E’s new corporate parent. The party organizers then showed us exactly what is in store, with tray-passed goodies like Fresh & Easy stuffed mushrooms and sinful (and simple!) mac & cheese won tons (just spoon a little F&E macaroni & cheese into won ton skins and fry ’em up in a wok. Delish!) There was a selection of cheese and antipasti and desserts too, but I couldn’t get enough of those won tons. And of course, there was wine. Fresh and Easy’s wine buyers are going to continue snapping up inexpensive vintages that taste like they cost a whole lot more. Upon arrival, we were greeted by servers who handed us a champagne flute filled with Montcadi Cava sparkling wine ($8). That was good, but I was more in the mood for the Barrel Ranch Pinot Noir they were serving at the bar. ($13). If my husband had been there (instead of sending snarky texts back to me) he would have enjoyed the WineWright Chardonnay ($12). But food and drink are not enough to make a party a success. You also need the right mix of people – and you need to make them comfortable. This is probably the last blogging event I’ll be able to make for a very long time, so it had to be a good one. And it was. I received no compensation for this post. I am genuinely glad that Fresh and Easy is going to stick around a while, as I enjoy shopping there. All opinions are my own. Hey I recognize some of those faces in that last photo! 🙂 Like you, I am very glad that Fresh & Easy is sticking around. I love their pre-made dinners & the fresh bakery section (croissants, apple turnovers, etc.). 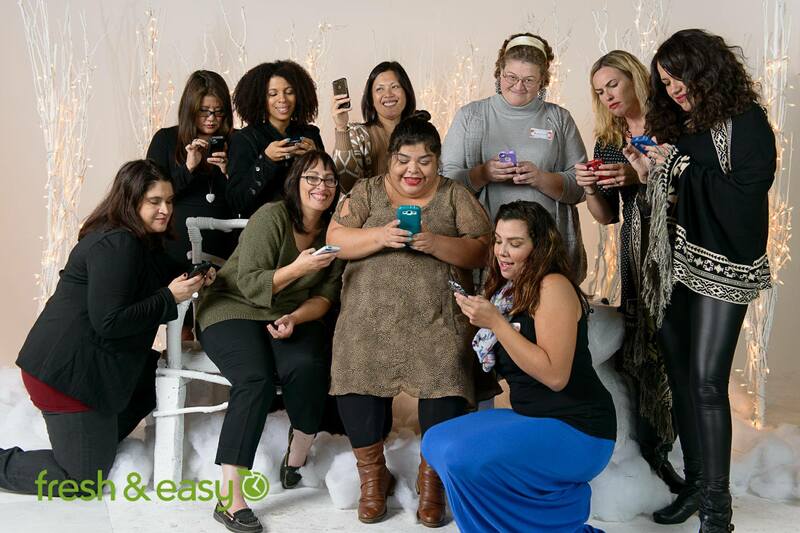 Yeah – the F&E event is very popular with the LA Mom Bloggers (although it were a lot fewer of them this year). We just discovered the F&E flatbreads – they’re delicious and way cheaper than ordering a pizza.